There has been some confusion as to Coulson's first name. In an interview in the Sydney newspaper The Referee 03 March 1915, original Carlton member Andy McHarg mentions among other Pre VFL Carlton players Albert and Charlie Coulson. Albert Coulson recruited from Avenue via the Melbourne F. C.
Alby was the Avenue's first vice-captain, the Parkville based club was formed in March 1883. Their practice ground was at the rear of the Zoological Gardens. Both Albert and Charlie Coulson played for Melbourne. May 02 1885, they played in the opening match of the season against Carlton. Albert played 27-31 games for Melbourne 1884 - 86 and scored 1 goal. 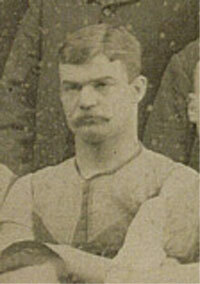 In 1886 Albert played for the University club playing between 9 -19 matches and scoring 1 goal. 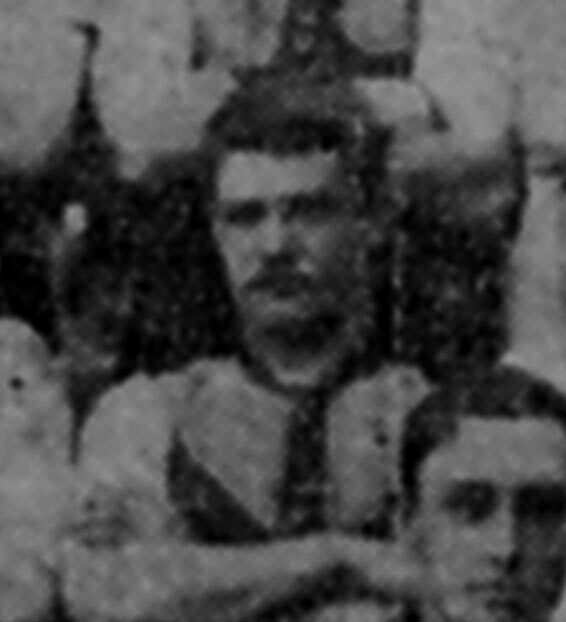 Alby Coulson scored 17 of his 149 career goals in 1887. Albert's letter notifying him of his selection in the Carlton team to play England on the M.C.G. Played in the Carlton vs England match at the M.C.G. 16 June 1888. A. Coulson scored Carlton's first goal. Source:Markwell, Australasian, June 23 1888. Great Australian Football Stories, Garrie Hutchinson. Page 49,50,51,52,53,54. Carlton played Port Melbourne on the MCG. This was an exhibition match for the visiting US baseball outfits, the Chicago and All American teams. The match was player prior to the baseball demonstration game. A. Coulson was named in the 25 man squad. The match ended in a draw 3.2 each. The Melbourne Punch's football writer "Olympus" writing about Carlton's unexpected victory over Richmond, said he was outside the Herald building when the result came through. He was with "Albert Coulson (one of Carlton's past men of yore)" and he let out a yell of delight at the result. "Alby Coulson joined in the yell too." "Olympus" was one of the pen-names used by former original Blue, now sports journalist, George F. Bowen when writing for the newspapers. Alby Coulson, brother? of Charles Coulson. Charles had a brother Alfred 1868 - 1913. Contributors to this page: blueycarlton , Jarusa , PatsFitztrick and molsey . Page last modified on Friday 03 of November, 2017 09:46:09 AEDT by blueycarlton. 1985 - How the Blues will go in the finals. 2009 Rd 1 - Cloke marks in the front position.